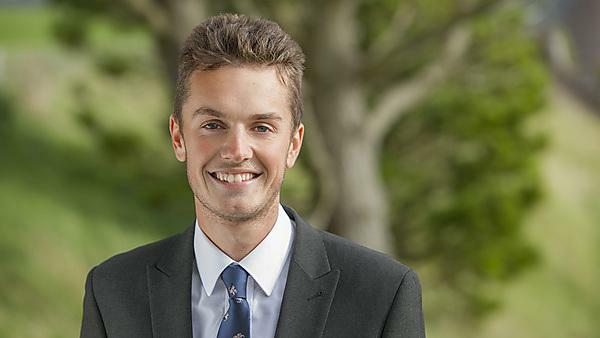 The location, the facilities, and the course all drew James Barwick to University of Plymouth. After completing my University degree I decided that I wanted to have a career that was related to my degree. Wyke Farms is near to my hometown and two years ago they decided to invest in an anaerobic digestion plant and water reuse plant. This interested me so I decided to register my interest in joining their team, which I did, and now I work there. I was offered the opportunity of an interim management role which I stepped into in August 2017. I am enjoying learning how to manage and the new challenges and responsibilities that come with it. I hope to continue to progress with my career. I would advise students to be proactive when searching for a job. Researching the company and the line of work is key before applying or having an interview. If possible, I would suggest visiting the business before starting any job to see if the company and the job is right for you. Being a hard working person and willing to learn new skills are the best attitudes when wanting to get into this line of work. Anaerobic digestion and Water Recovery involves being practical and hands on, covering biological processes, chemistry, and having a good understanding of computers. Environmental science at University of Plymouth helped me to focus my passion for the environment and to choose my current career path. The course was very well balanced with the modules offered and the types of assessment – such as coursework, exams, and presentations – and allowed me to become an all-rounded graduate ready to go into employment. I stay in contact with University of Plymouth alumni who were on my course, but also with students who I lived with in halls. The lecturers have also always been friendly and I know that if there were an occasion to make contact that it would be well received. I would recommend undertaking a course at University of Plymouth because it has the complete package. Firstly, the University is set in a perfect location; a two minute walk to Drakes Circus shopping centre, a five minute walk to Plymouth Hoe and The Barbican, and a short 15 minute drive to Dartmoor. This allows students to experience the convenience of living in a city, yet be by the sea and countryside. As the University is situated on one campus with halls of residence which are only a two minute walk away, there are no commuting costs. The University is also very modern, boasting some of the best facilities in the UK and giving students the best learning experience possible. Going to university is a once in a lifetime experience and you need to enjoy it. If you put the effort in then that’s all that matters. If you want a job when you finish university, don’t leave it to the last minute, be proactive and don’t just apply for advertised jobs; send your CV to companies, register your interest for employment. It is all about putting your name out there.